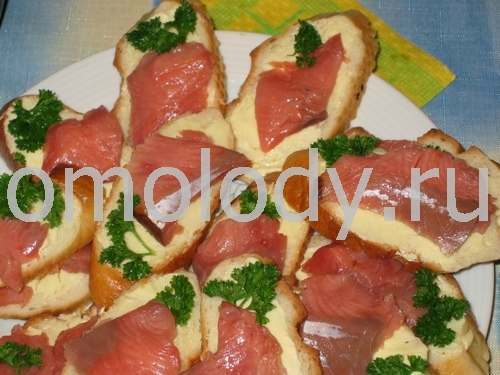 Salmon salted with spices. Recipes from Russia. 3. Wrap whole fish with clean (cotton) dish towel very tightly. Put into cellophane package. Wrap the package with fish with paper around. Put into fridge freezer for 3 - 4 weeks. Thaw. 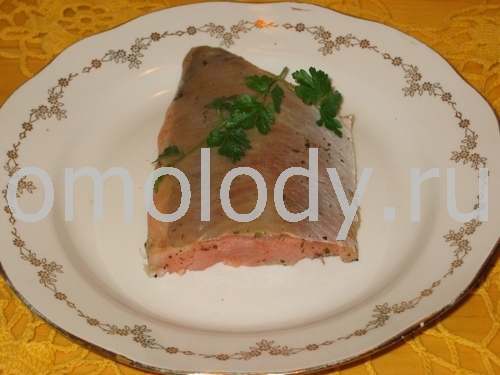 Serve skinned fillet of the salted salmon with bread, butter and parsley.